It seems that as prosecutors and the Securities and Exchange Commission were circling, someone drawn to the "veritable magnet for market cheaters" was hot for some edge, black or otherwise, about Apple iPhone sales. Chang received a flood of urgent e-mails on Dec. 13. Executives from the four client companies wanted to know if he agreed with a competitor’s report, predicting much lower shipments of the iPhone 5 than Wall Street had been expecting…. “Hey Kevin, Are you picking up any order cuts to iPhone?’’ asked one employee of SAC Capital Advisors of Stamford, Conn., a Citigroup client that owned Apple stock, according to the settlement, citing one of many e-mails. Well, the poor (and now fired) Kevin Chang couldn&apos;t resist such badgering, especially when it came from Citadel and GLG, too. After a barrage of similar requests, Chang sent out a new, as yet unpublished report, predicting a sharply lower number of iPhone sales. 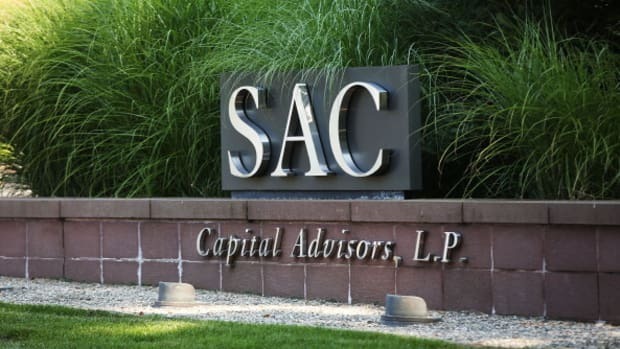 The report allegedly went to SAC, as well as to Baltimore-based T.Rowe Price and the investment firms Citadel in Chicago and GLG Partners of New York. By the next day, on the 14th, Apple shares had lost 5.2 percent of their value. But it wasn’t until that day that the rest of Citigroup’s clients received Chang’s report. And it was two days later that Citigroup’s Apple analyst lowered his rating on the company, releasing the information to the broader audience of Apple investors, according to the Massachusetts settlement. Did SAC do anything wrong? Or was it the only one of the four lucky clients not to trade on the report? William Galvin isn&apos;t sure yet—but he&apos;s going to find out. While the firms were not named as parties in the complaint, Galvin did not rule out pursuing legal claims against them for allegedly seeking and accepting the tips from the analyst. “We haven’t got there yet,’’ Galvin said.